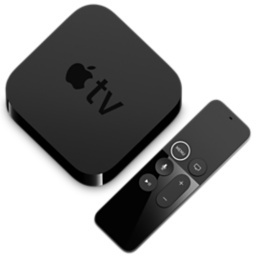 Apple TV is a digital media receiver developed and sold by Apple Inc. It is a small form factor network appliance designed to play digital content from the iTunes Store, Netflix, Hulu Plus, YouTube, Flickr, iCloud, MLB.tv, NBA League Pass, NHL GameCenter, and many others. It can also interface with any macOS or Windows computer running iTunes to stream music, movies, and other content. As of the release of the fourth generation of hardware, Apple TV gained the ability to run third-party apps, and there is now an Apple TV-specific App Store accessible from the device. This tag is for questions relating to Apple TV's hardware and software. How can I control my Apple TV from my Mac?